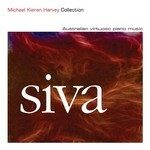 Siva : Australian virtuoso piano music / Michael Kieran Harvey, Raymond Hanson, Gordon Kerry, Brendan Colbert. Recorded/performed at: Iwaki Auditorium, VIC, on 21 Aug 09. Brendan Colbert Michael Kieran Harvey 9 mins, 35 sec. Recorded/performed at: Move Records studios, Melbourne, on Dec 14. Helen Gifford Michael Kieran Harvey 7 mins, 1 sec. Recorded/performed at: Move Records studios, Melbourne, on Dec 14. Raymond Hanson Michael Kieran Harvey 17 mins, 51 sec. Recorded/performed at: Move Records studio, Melbourne, on Dec 14. Neil Kelly Michael Kieran Harvey 13 mins, 12 sec. Gordon Kerry Michael Kieran Harvey 16 mins, 52 sec. Liner notes include program notes and biographical notes on the composers and performer. Score: Piano sonata : op. 12 / Raymond Hanson. Score: Piano sonata / Gordon Kerry. 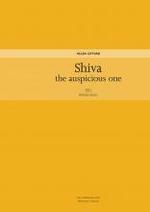 Score: Shiva, the auspicious one : piano solo / Helen Gifford ; copied and edited by Kim Bastin.